It is through no sense of willful obscurity or self-love that I put forward a song that I suspect few outside of the dance cognoscenti will recognise from its title. I’m no expert. 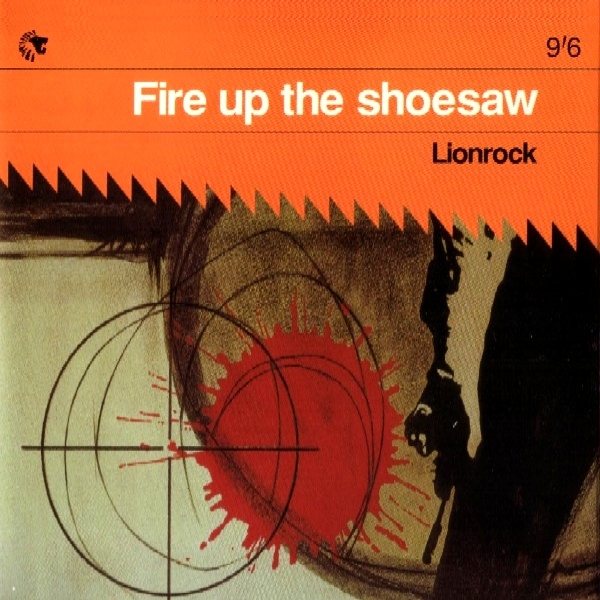 I just took receipt of this single from a friendly PR, presumably at Q or just after, spotted that “Lionrock” was essentially producer and DJ of note Justin Robertson, was intrigued by the name (largely because Stuart Maconie, David Quantick and I had self-regardingly attempted to launch our own musical genre at the NME circa 1992 and christened it, without much depth, Lion Pop) and gave it a spin. I believe we are calling it Big Beat, though I didn’t really care what generic pigeonhole it went into, or who it was aimed at, or why Justin Robertson had cooked it up in the first place; I just knew that it was a preposterously infectious piece of construction work. Built, like the more saleable 45s of Fatboy Slim (who will find his way into The 143 twice over, I suspect), from flotsam and jetsam which, if I went under the bonnet, I could probably catalogue sample for sample, right here, right now, but part of me wishes not to let light in upon magic. If you’ve never heard this wondrous tune, seek it out; in the meantime, I’ll describe it, just to see if I’ve still got the old magic, as it’s more than the sum of its Frankenstein’s monster-style parts. A second guitar and a big beat join the looped Lee Hazelwood riff and we hit our first groove. If it just did this, it would be a serviceable slice of white man’s dance music. But there’s more. At one minute in, a guess-which-nationality voice asks, “Where’d you learn how to shake that booty?”, heralding the next movement – and I don’t think it’s overstating the case to use the terminology of classical music with a piece as intricately composed as this – in which a fuzz guitar and some brass stabs seems to conjure that Jabberwockian “shoesaw” (and that’s not nearly as pretentious a description as it sounds). Think you’ve got the measure of it? Wait until one minute 53. Here’s the wow factor, which possesses my body and my fingers on public transport every time it explodes into brilliance in my headphones: a skyscraping brass reveille from one of John Barry’s Bond soundtracks, instantly familiar and yet ingeniously punched up with some sampled jazz drums that coolly operate at the apex of Gene Krupa/Buddy Rich levels of technical skill (hey, they could be Gene Krupa or Buddy Rich). Paradiddling across the kit, this drum fill, repeated, takes Shoesaw to another level of synchronicity. It is akin to the skin-and-timber drumming sampled so adoringly by DJ Shadow. We’re so used to drum samples that either underpin with timekeeping or punctuate with a roll; these speak. It’s actually a sad moment when the Bond section is over, and back to the fuzz guitar section, but stick around, we’re into a cycle now and only halfway through. A disembodied American voice pleads “What are we doing here?”, and at one stage, the squelching is back, foregrounded, as if we are marching home from the trenches, at which Boots is our trusty companion back into a welcome rerun of Bond. Can it just be the drummer in me that so takes this record to heart? I don’t care. We all have our reasons. We all have our ways in. The snarework of a jazz sticksman is my way into Fire Up The Shoesaw. The title bespeaks superheroes, comic book action, maybe even the threat of violence in a megalomaniac’s underground lair, but what cinematic drama! What spatial awareness! And what generosity of length! I’m sure Justin Robertson does not dine out on lobster too often on the royalties of a song made from other songs that only reached number 43 in the charts in 1996 when Fatboy Slim was winning superstar status, but I hope he is still in full and enriching self-employment, and held in appropriate regard by his peers and those who dance before his decks in superclubs in Russia, as he only went and created one of the best 143 songs of all time and he may not even know it.